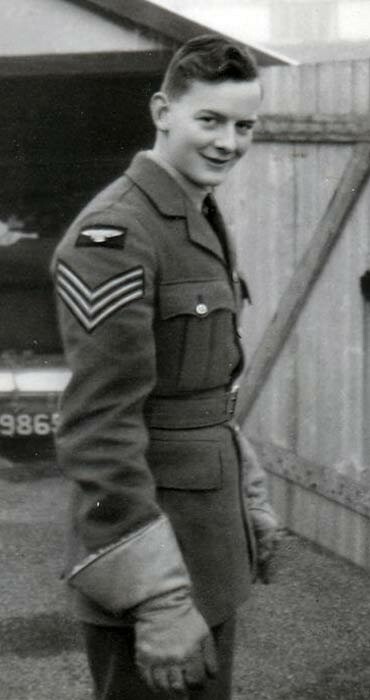 501 squadron – Frederick John Powell Dixon was born on 20th October 1918 in Clitheroe, Lancashire and joined the RAFVR about October 1938 as an Airman u/t Pilot. Called up on 1st September 1939, he completed his training and went to 6 OTU, Sutton Bridge on 26th May 1940. 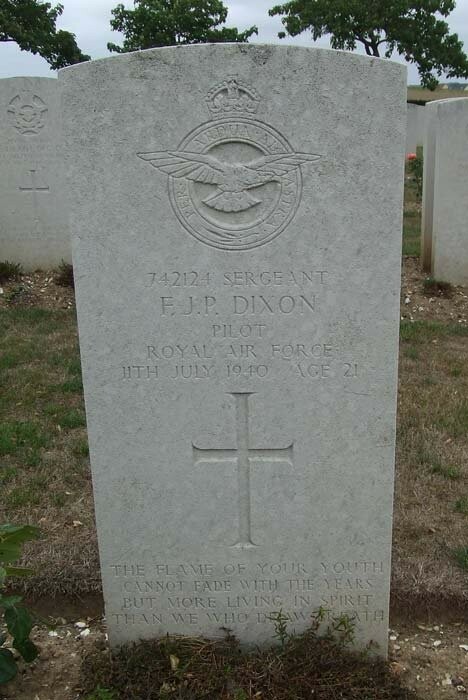 After converting to Hurricanes Dixon went to Hendon on 6th June for onward posting to France where he joined 501 Squadron. On 18th June the squadron left from Dinard and flew to St Helier, Jersey from where they operated on the 19th, covering the evacuation of the BEF from Cherbourg. 501 re-assembled at Croydon on the 21st. On 11th July Dixon was shot down in an action over a convoy ten miles south-east of Portland Bill by Oberleutnant Franziket of III/JG27. 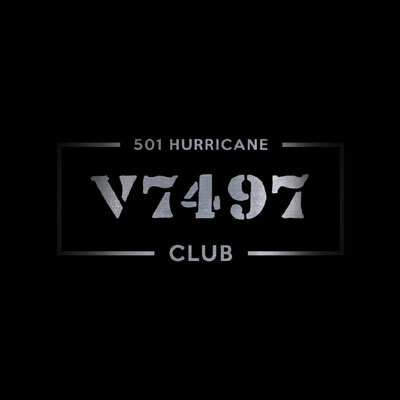 He baled out of Hurricane N2485 and fell into the sea. An extensive search by the Weymouth lifeboat failed to find him. 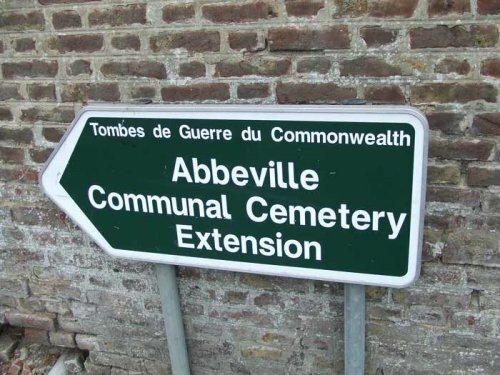 Dixon’s body was later recovered by the Germans and he is buried in Abbeville Communal Cemetery Extension.